There are thousands of radio and TV channels broadcasts using streaming technology available on the Internet, and hundreds of applications that allow their playback. 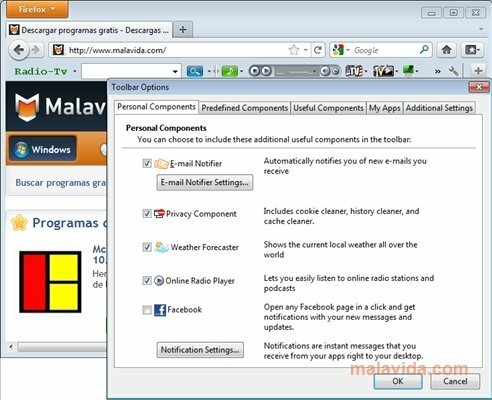 But few make the task as easy as Live-RadioTV Toolbar, a toolbar that installs on both Firefox as well as Internet Explorer allowing us to access from it all the multimedia contents that we want. Focused on the American public, this tool includes extras like a Google, Wikipedia and torrent search engine, an email notifier, an English dictionary and translator, an RSS video reader, a pop-up blocker and a clock. It also has an interesting online Flash game list, that will allow us to directly access them without having to open another window or write a single URL address. But its most important features are the more than 3,500 TV broadcasts and 3,000 radio stations available. As well as all kinds of channels from the USA, we can watch TV from all over the world. The bar has an integrated radio player and, if we want to watch TV, it opens a small window that we can combine with our web browsing. 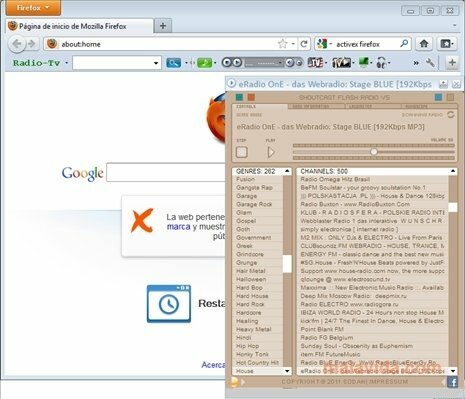 One of the simplest ways to access radio and TV from all over the world directly from our browser.